Planning on a longer vacation this summer? 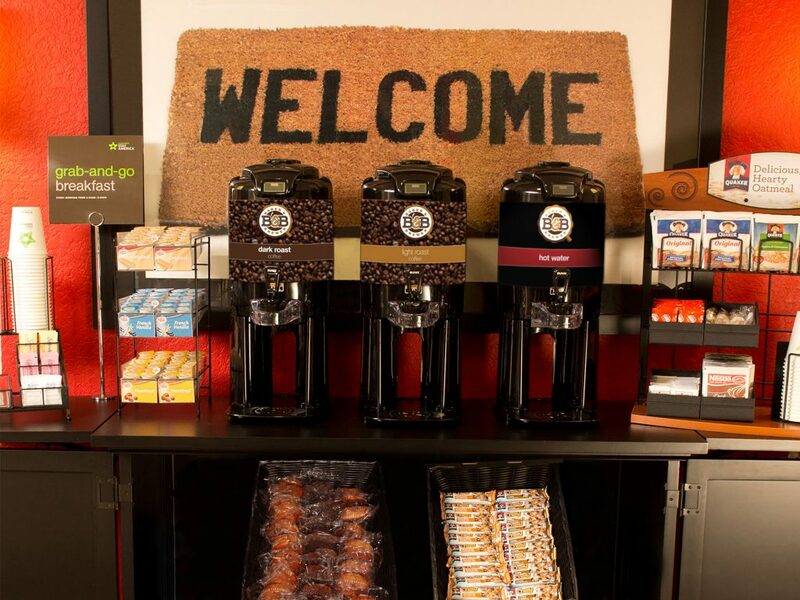 Extended Stay America is definitely one of the best avenues to go to stay within budget! Several years ago, before kids, I used to travel for work and was pretty much living on the road. If you think about it, all of that eating out, laundry, etc. can get pricey after a bit! So we turned to Extended Stay America. I probably lived in these for almost a full year off and on! Having access to a full kitchen, laundry facilities and a larger room made that time on the road much more tenable. The whole environment is much more homely than other hotels. Plus, once you check in you can head to the local store, stock up your fridge and have your meals planned for your stay. Even if you just do breakfast in the room it makes a big difference in terms of saving money. They also don’t do full room service and cleaning daily, cutting back your bill and making it so that you can afford that vacation, or use the money on other things! 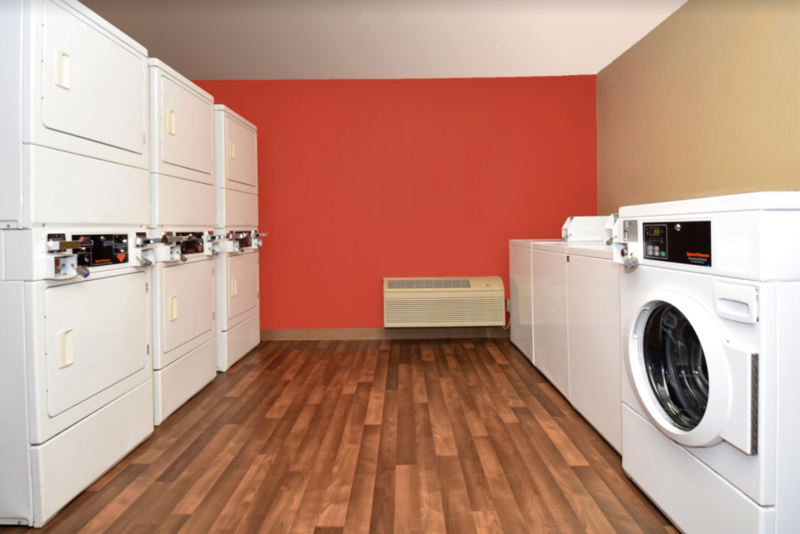 You can easily do all the laundry too as their laundry rooms are awesome! If you travel a lot like I did, check out their Extended Perks Rewards Program, which gives you access to special national and local discounts from America’s top brands the moment you enroll. Plus, you can save up to $2,500 annually with no points required. Check out their website HERE. PLUS they have some awesome deals for you right now too! And guess what?! 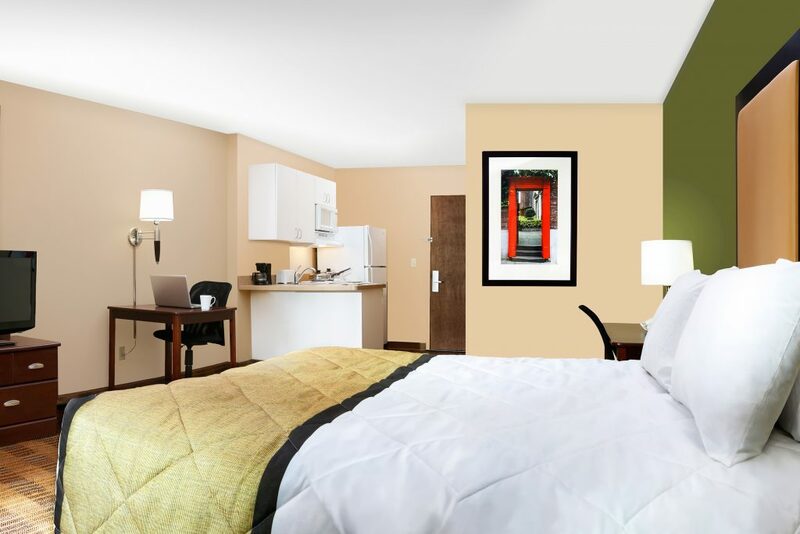 Right now you can enter to win 2 FREE nights at an Extended Stay America too!! Most of their hotels have been updated! It is relaxing to stay in an updated & clean room! My family would love to stay in an extended stay in San Diego! We are going there for the first time this summer! It sounds like the perfect vacation spot!